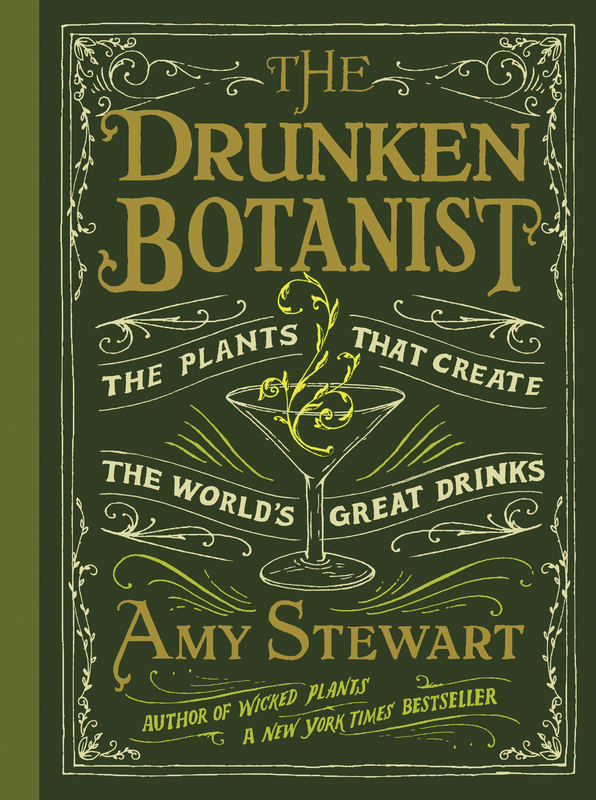 I love puns, portmanteaus, and plants. 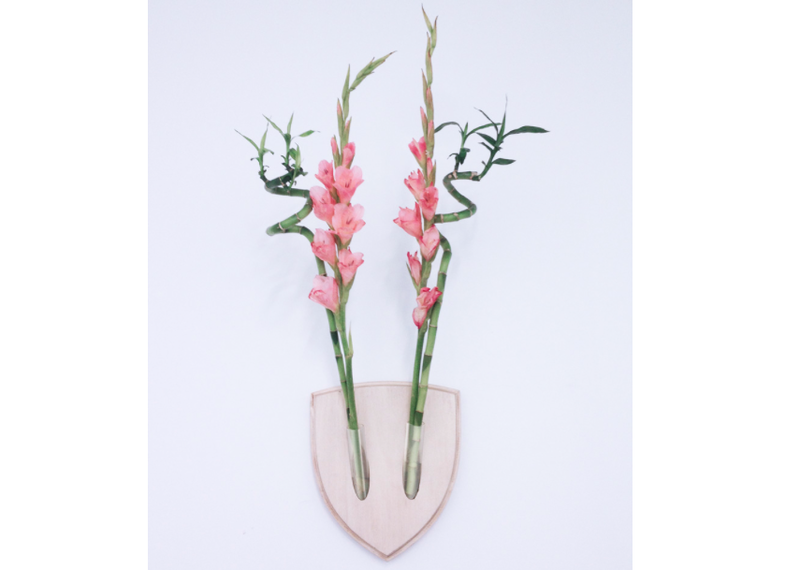 Elkebana is a portmanteau of ikebana, the Japanese art of flower arranging, and elk, the animal with the big antlers that people like to kill and stuff and put on exhibit. It’s also a very clever name for a very clever product. 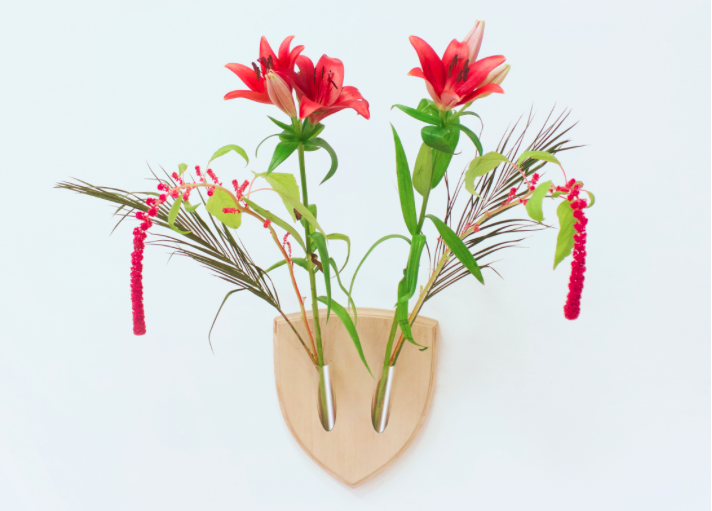 Twin vases mounted on wood let you display blossoms like others display heads—hanging from the wall, living (though soon to be dead). I love this. Ordering info is here. It would also be a pretty simple DIY, but kudos to designers Fabio Milito & Paula Studio for coming up with such a rad concept. Two cool things: Green architecture, plant emotions. Mankind is increasingly leaving nature behind, migrating to concrete jungles where green space is at a premium. Yet urban dwellers will always long for a connection to the earth: we build parks, protect nature reserves, and grow gardens. We’ve become adept at shaping nature to fit our multiple spaces and lifestyles. Plant-in City is a collaboration between architects, designers, and technologists who are building new ways of interacting with nature. 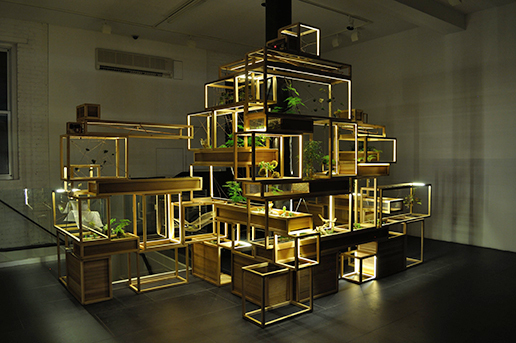 Our 21st century sculptural terrariums combine modular architecture, basic laws of physics, embedded technologies, and mobile computing to construct a “Plant City” where the aesthetic meets the pragmatic. 2. Do plants have emotions? We were discussing this at work the other day, and while my first inclination was to be really skeptical, I’ve been a little swayed. No, I don’t think weeping willows actually need Prozac, just that maybe there’s something these living creatures pick up on that is kind of, maybe a little, like our empathy. Further reading can be found on NYT.com, but this is one of those weird moments when I don’t want to know too much more. According to some people, plants react when living things are killed. Perhaps it’s true, perhaps it’s not, but I rather like that idea and for now, I would like it to be so. I think this must be how people in Iceland “believe” in fairies. According to one article, 80% of Icelanders think fairies are real. Maybe they do, or maybe 80% of the country just has a more whimsical outlook on life than we do. Either way, I want to go to Iceland and see some freaking fairies.